We recommend residents continue to take time to inspect their yards and take a few minutes to clean up, reduce yard clutter and dump out any sources of stagnant water. Residents may also purchase a variety of mosquito control and repellent products from most home and garden centers. Performing a community-wide cleanup will help reduce most mosquito concerns. Residents are urged to contact your local municipality to help promote cleaning up to reduce mosquito concerns and disease risk. Stormwater management systems can sometimes contribute to mosquito issues and are also routinely monitored by Penn State Extension. Mosquito surveillance in York County indicates that the most common mosquito species in residential areas come from artificial containers left behind by humans. Artificial containers can be something small like a bottle cap to sometimes as large as a swimming pool. Additional containers such as tires, buckets and tarps are preferred by mosquitoes because other predators found in nature which would prey on mosquito larvae are not present. During periods of drought, these containers continue to hold water and produce mosquitoes. One bucket or tire in someone’s backyard can produce hundreds to thousands of mosquitoes in a year. 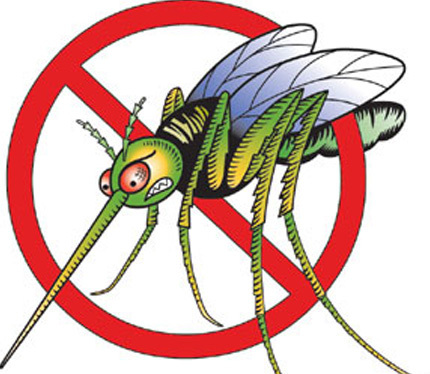 May through October, mosquitoes can complete their life cycle within five to seven days. Residents should also use repellents when spending time outside. For individuals who don’t like to use repellents we recommend taking an electric fan outside with you. Mosquitoes don’t like the wind and the fan will help keep them away. As a last resort, residents can purchase insecticides from garden centers and hardware stores to spray in their own yard but need to be sure to follow the label instructions. York County residents may report mosquito concerns through the Pennsylvania West Nile Virus website www.westnile.state.pa.us . Doing so will better assist our program to document areas of concern. York County residents can also contact the York County West Nile Virus Program by calling 717-840-2375 or email TLS35@psu.edu. Keep in mind that the York County West Nile Virus Program attempts to educate residents about the importance of cleaning up. Individuals may need to report neighbor complaints to their local municipality to rectify the concern. For information about West Nile Virus and Zika Virus symptoms in humans, contact the Pennsylvania Department of Health at 1-877-PA-Health.